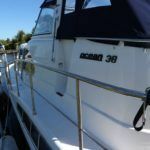 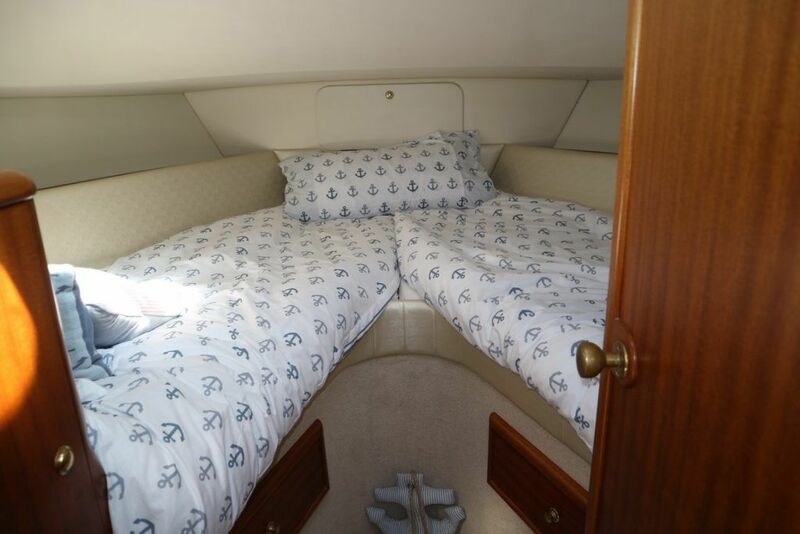 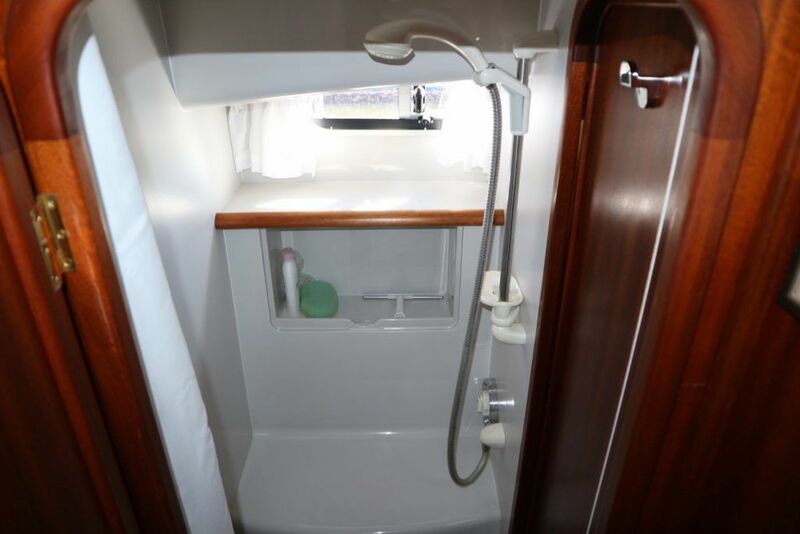 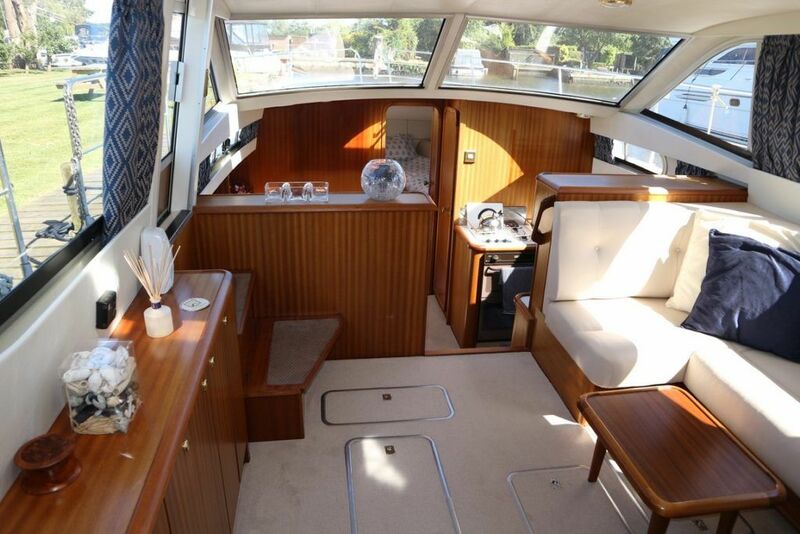 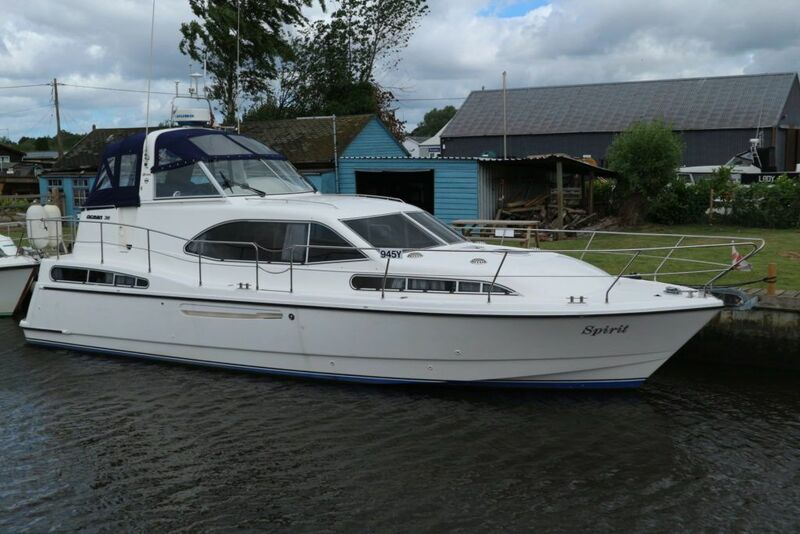 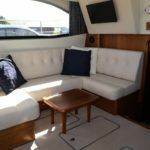 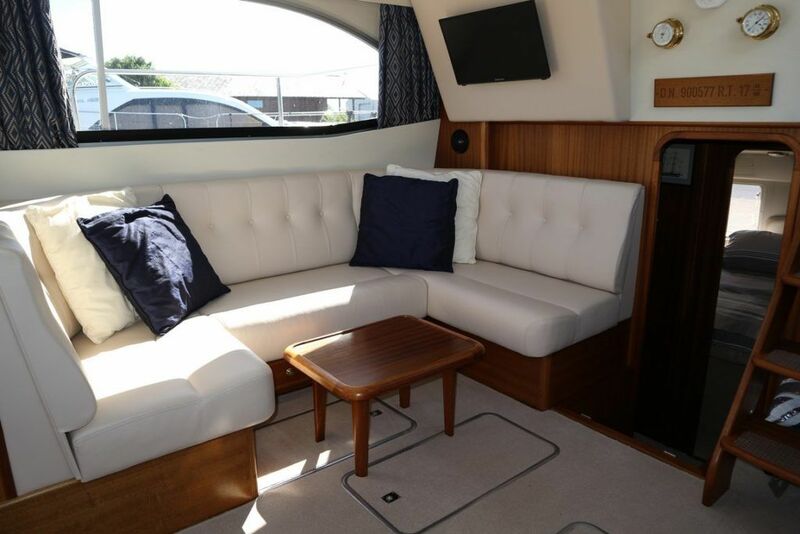 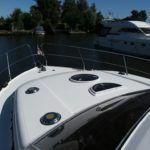 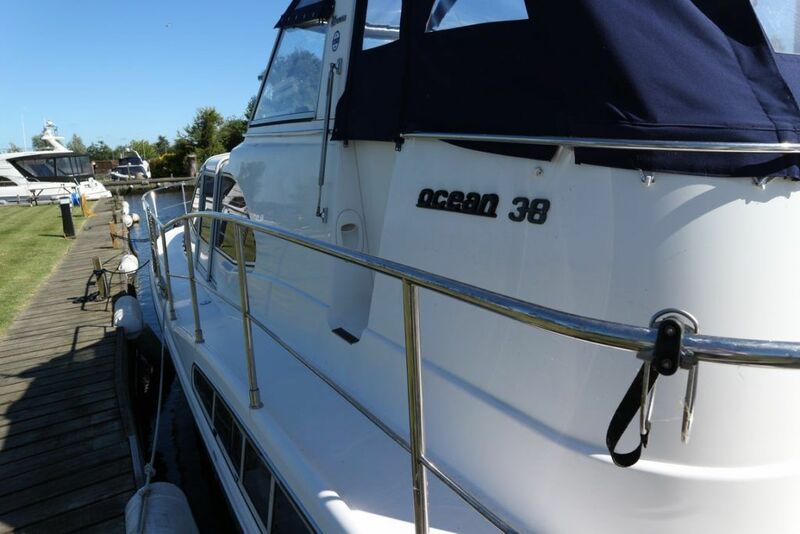 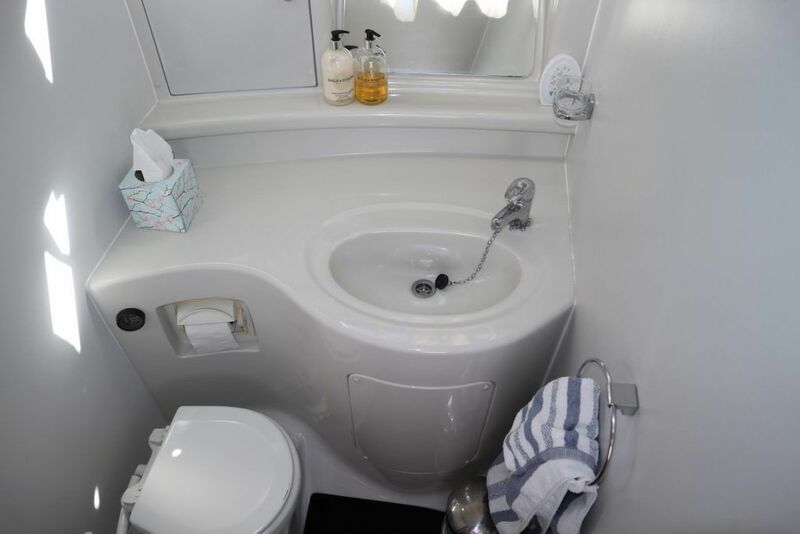 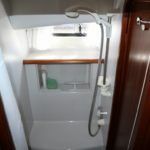 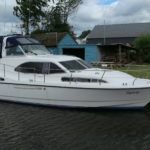 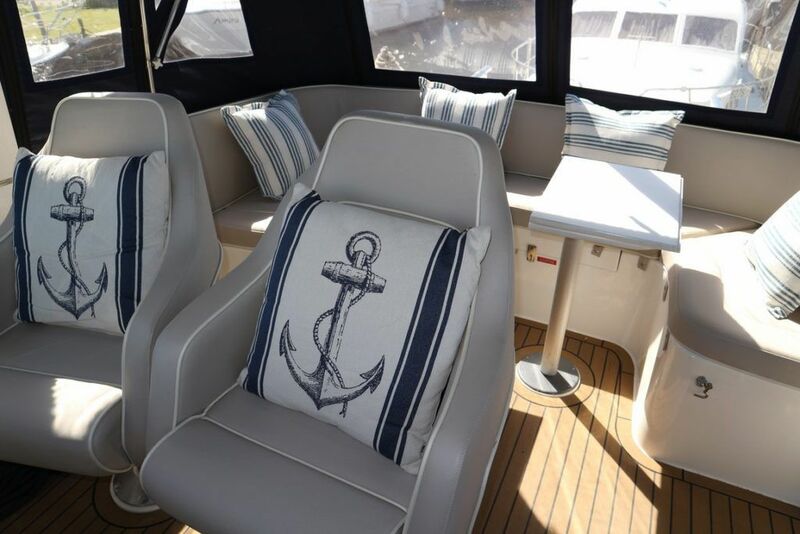 Air Draft (Metres/Feet): 3.2m / 10' 5"
BROOM 38 – 1997 – Twin Mercruiser 220HP Diesel Engines – 6 berths including a spacious aft cabin with 2 toilets to holding tank and 1 separate shower located in aft cabin. 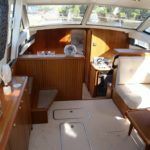 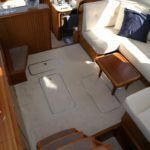 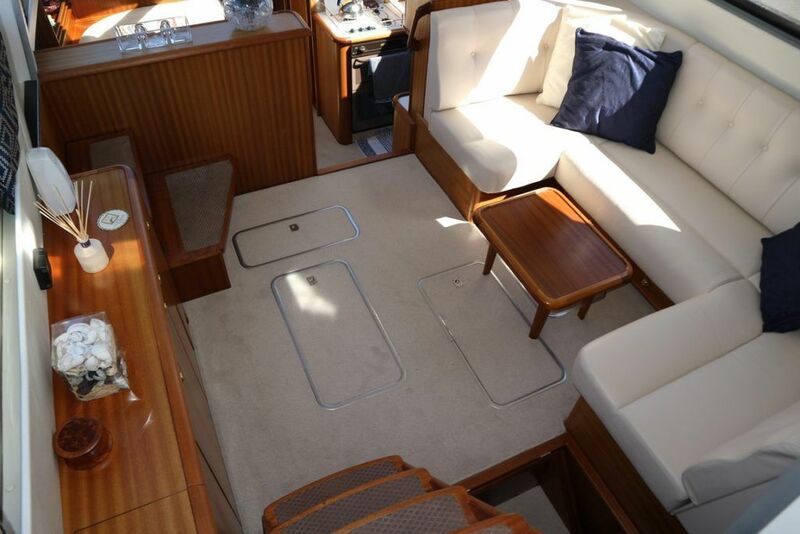 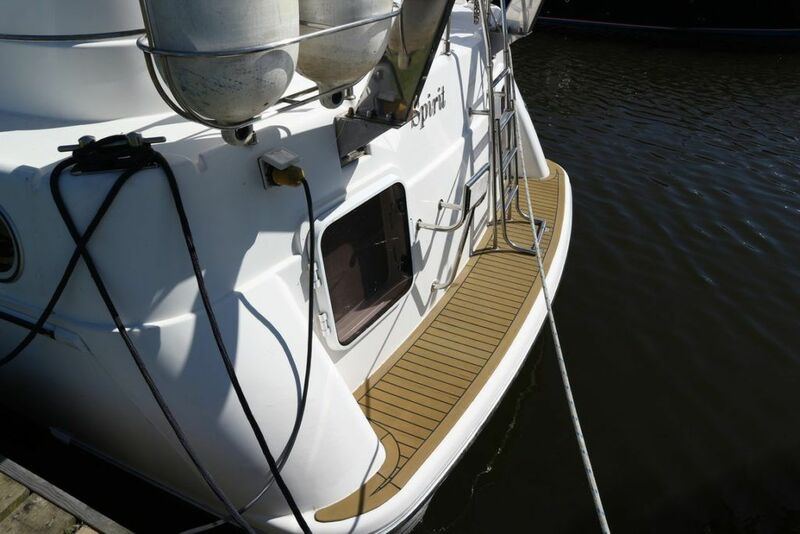 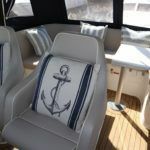 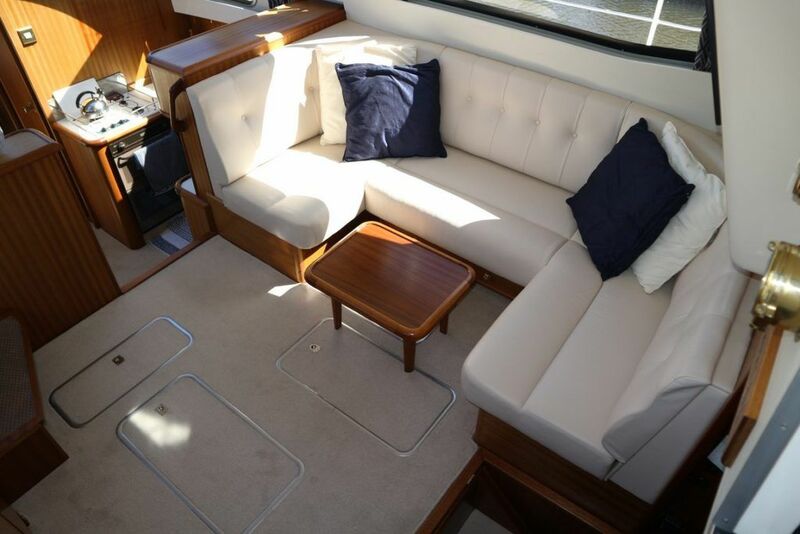 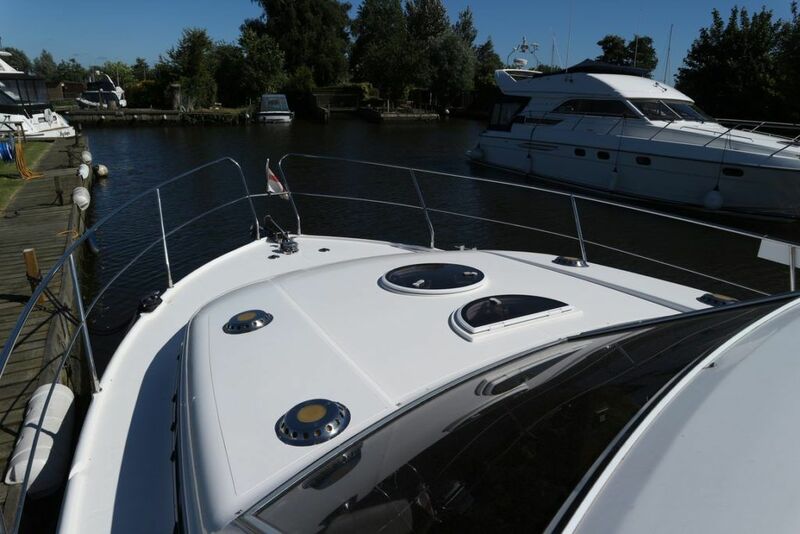 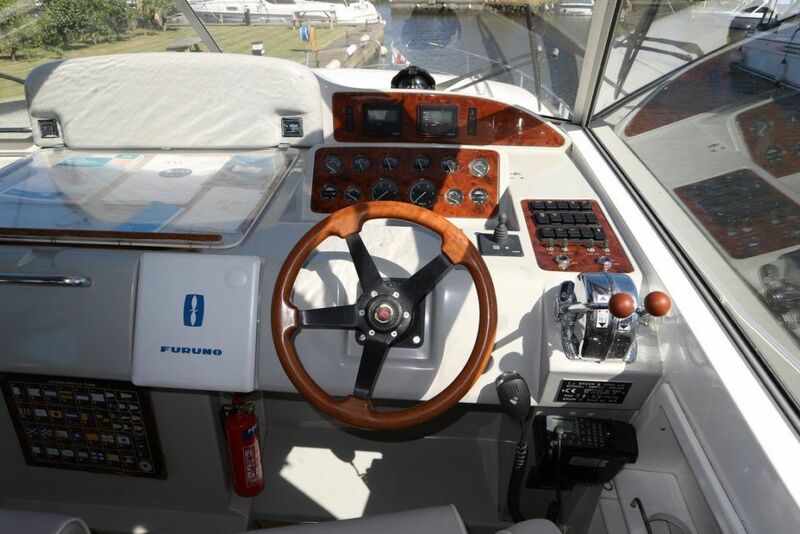 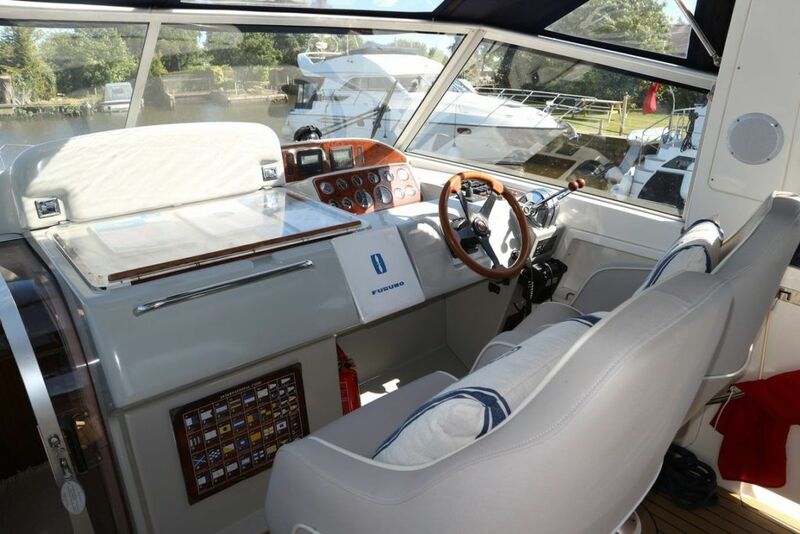 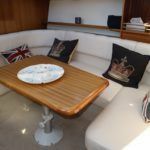 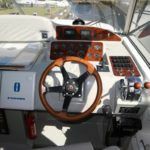 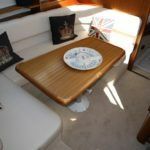 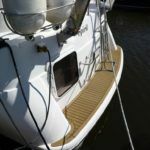 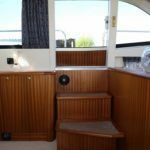 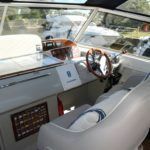 Eberspacher warm air heating, Calorifier and immersion heater, Garmin GPS 120, Autopilot ST6000+, Shore power, 12 and 240V sockets, Electric anchor winch, Davits, Folding radar arch with gas rams, Synthetic teak to cockpit floor. 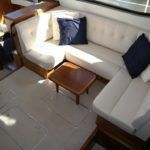 New upholstery and carpets fitted throughout in 2016. 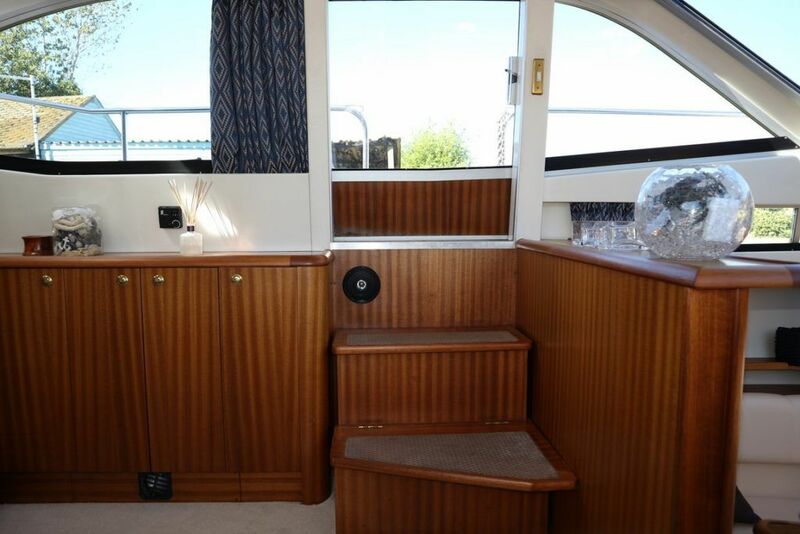 A beautifully presented example of these ever popular cruisers. 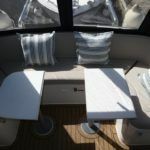 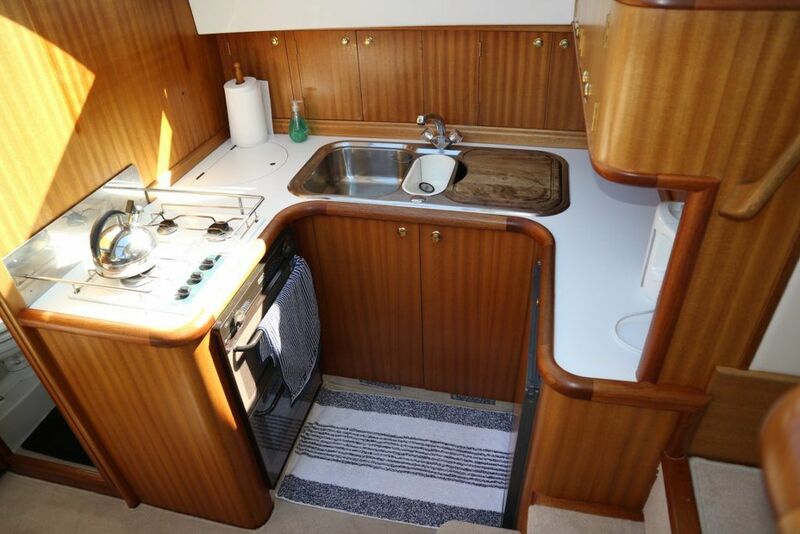 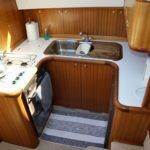 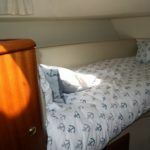 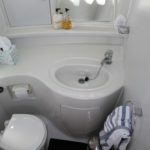 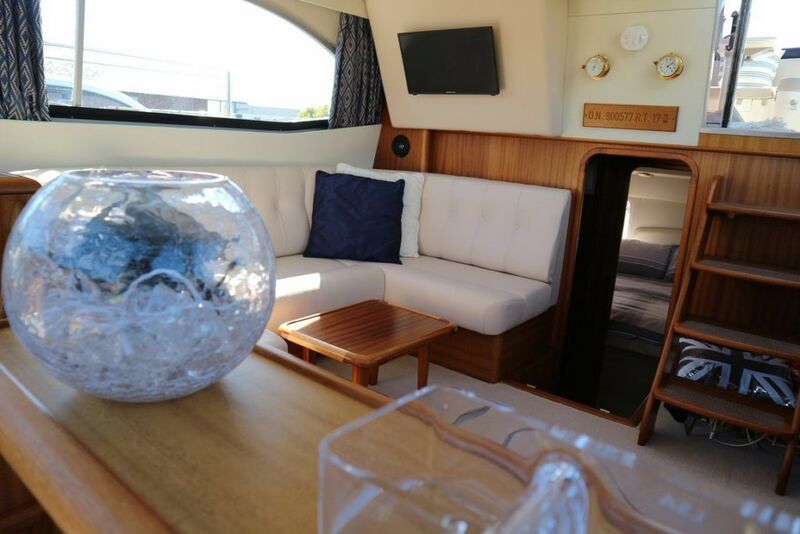 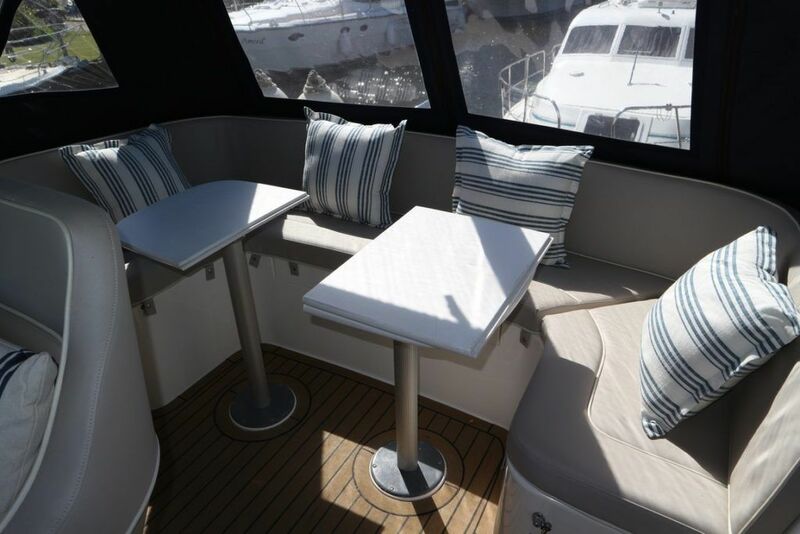 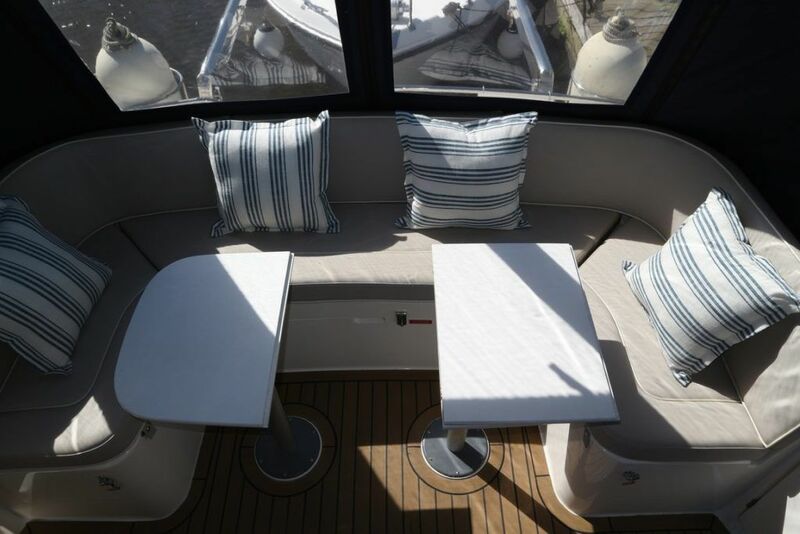 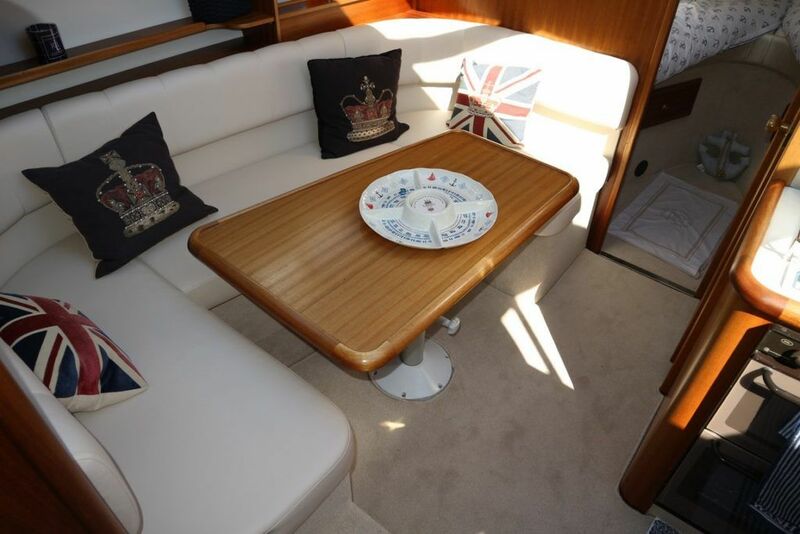 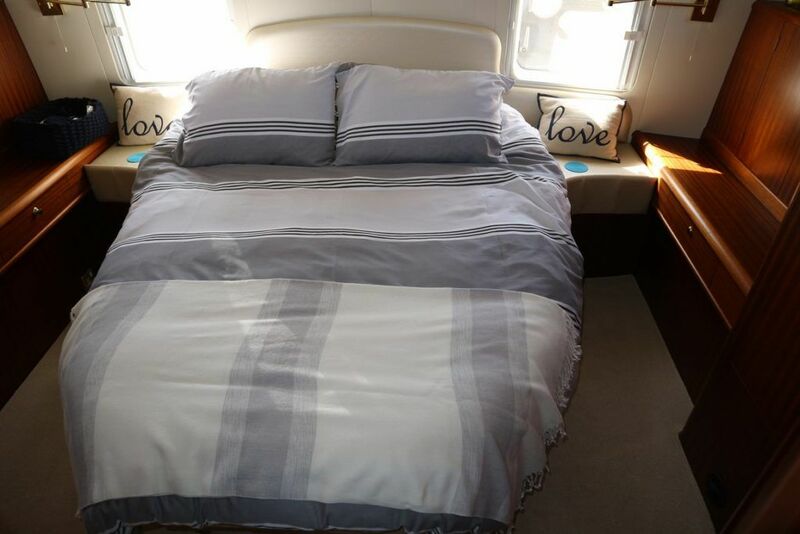 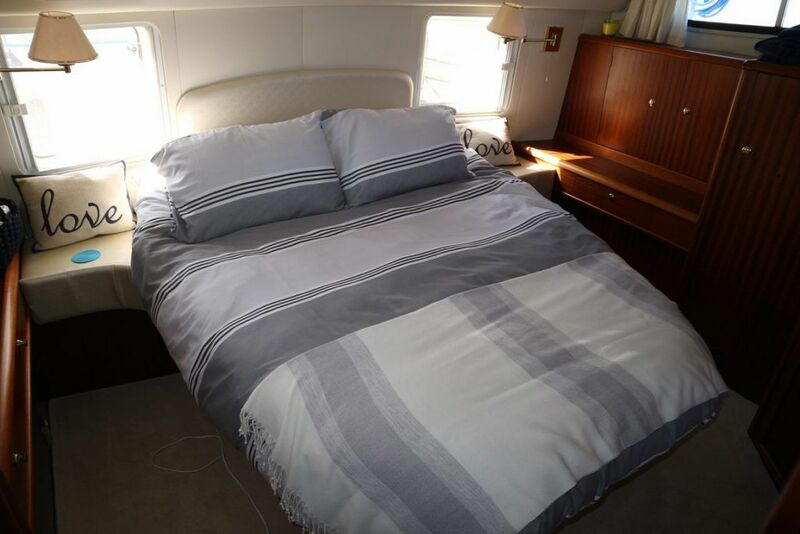 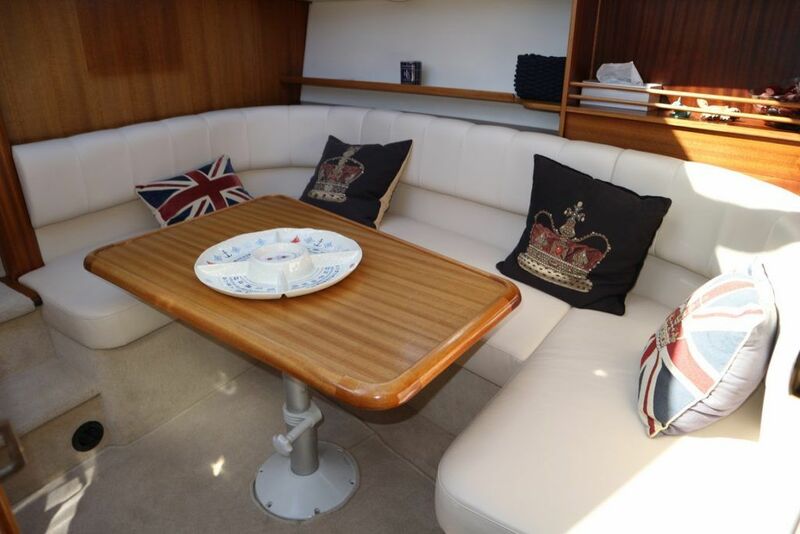 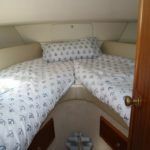 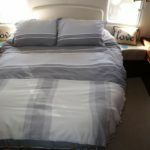 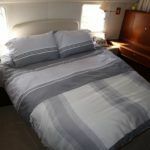 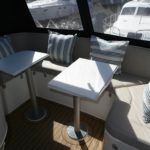 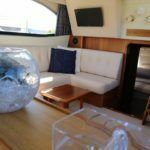 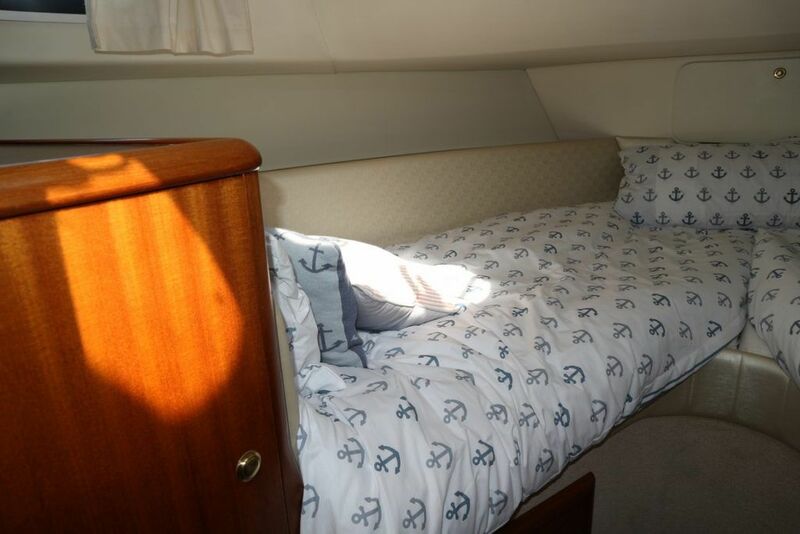 Air Draft (Feet): 10' 5"
The galley is well appointed with ample stowage and comprises of a large fridge with a freezer compartment, full size Vanette oven and grill, 3 burner Eno hob, and sink unit with drainer.